Dolan Springs, Arizona—Two vans collided outside Dolan Springs last Thursday, leaving two tourists from China dead and four others with serious or life-threatening injuries. The accident occurred on U.S. Highway 93 at Pierce Ferry Road. Arizona Department of Public Safety accident investigators report that a Toyota van was crossing the highway eastbound when its driver failed to stop at a crossover stop sign and drove into the path of a Ford van. Weipei Liang, age 61 of Guandong, China, was a passenger in the Toyota, along with six others. Mr. Liang was transported to Kingman Regional Medical Center where he succumbed to his injuries. The five remaining occupants were transported to University Medical Center in Las Vegas. Yuchan Peng, age 56 of China, died there three days after the crash. The driver and sole occupant of the Ford sustained only minor injuries. 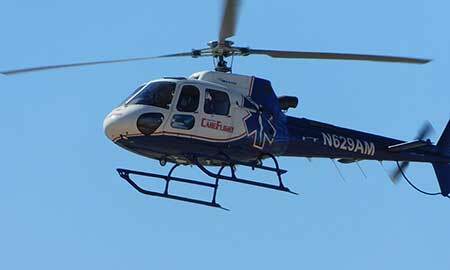 Three helicopters were required to transport the injured to two nearby hospitals. We extend our condolences to the families and friends of those who died in this tragic accident, and we wish speedy recoveries for those who were injured.